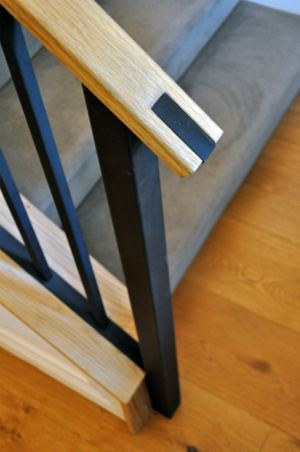 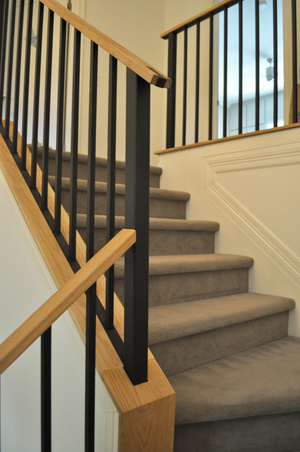 White Oak and Steel hand rails designed and fabricated by Drophouse. 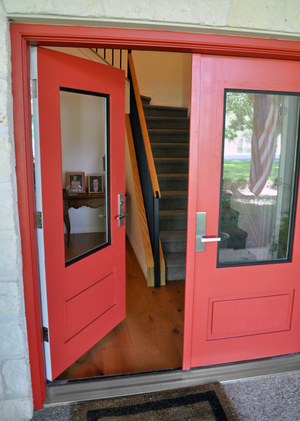 A new twist on Dutch Doors, these Red Oak and Alder doors are set with operable windows. 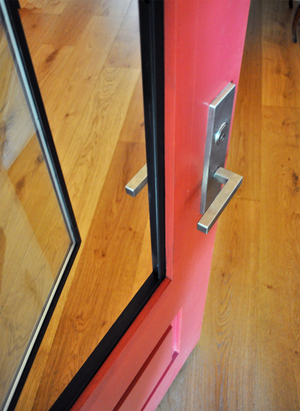 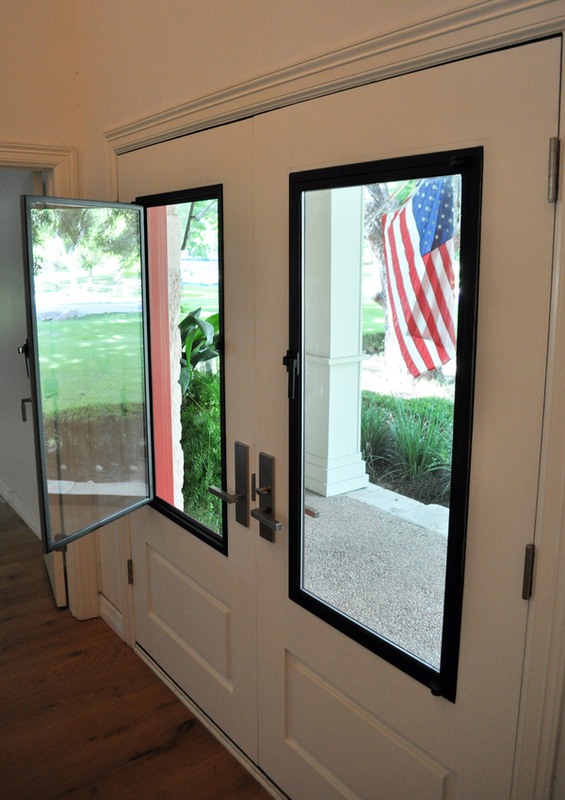 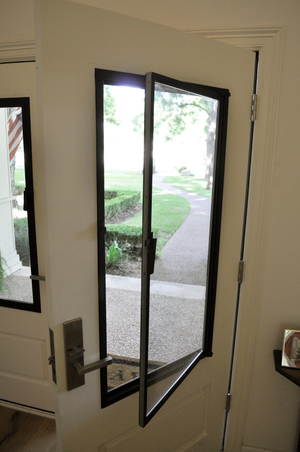 Doors, window frames and window frame hardware were all designed and built by Drophouse. 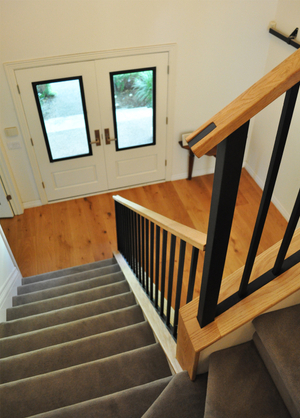 Another project in coordination with our friends at Mark Ashby Design.